Delta Math is a free program that allows teachers to combine modules of lessons for their students to complete. The modules cover a wide range of topics taught in Middle School math, Algebra 1 & 2, Geometry, Pre-Calculus, Calculus, and Computer Science. Once teachers set up their account and create their classes, they can provide students with a code to join their class. Students can work through modules at their own pace. 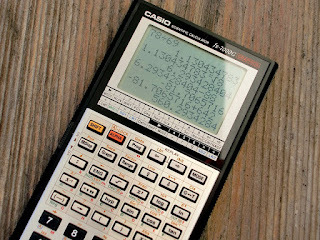 The program includes built in graphing and statistical calculators as well as a keyboard that allows the user to write mathematical expressions. There program also shows students the steps to get the correct solution. This would be a great way to encourage students to practice math outside of school. My daughter, who is a 7th grader, loves this program. She says that Delta Math motivates her to practice more often and it makes it more enjoyable.